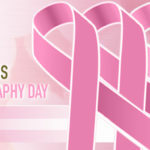 National Mammography Day is Friday, October 20, 2017. It is observed on the third Friday of October every year. It reminds women to get mammographies and be proactive in their healthcare. Early detection is a good defense against future problems. Throughout the month and especially on this day, women are urged to schedule appointments and get screenings for breast cancer. Mammography can detect problems before there is any outward sign. Breastcancer.org says 1-in-8 women in the U.S. will develop invasive breast cancer in their lives. Early detection can make all the difference in a woman’s life. This initiative was first announced by President Bill Clinton in 1993 and has been observed ever year since as part of National Breast Cancer Awareness Month. World Hospice and Palliative Care Day is Saturday, October 14. It is a worldwide day of recognition and action to raise awareness of specialized medical care for people with serious illnesses. Palliative care provides relief from the symptoms and stress of a serious illness and improve the overall quality of life for the patient and their family. Palliative care can begin at diagnosis to relieve pain, symptoms and side effects in a patient. Hospice care starts after treatment has stopped and it is clear that the person will not survive their illness. For more information about this day, visit http://www.thewhpca.org/about. Friday, October 13, 2017 is National Metastatic Breast Cancer (MBC) Awareness Day. The day was established by the U.S. House and Senate in 2009 as an annual observance on October 13. This is breast cancer which has spread to other parts of the body (metastasized) to most likely the lungs, liver, bones or brain. This is also known as Stage IV cancer. Early detection through screenings is a possibly useful tool to detect breast cancer. On December 19, 2011, the United Nations passed Resolution 66/170 creating the International Day of the Girl Child. It is commemorated every year on October 11. In the US, this is known as the Day of the Girl and this year it is on Wednesday, October 11. It supports the health, opportunities, equality and safety against exploitation for the 1.1 billion girls in the world. Next Tuesday, September 19 is Take A Loved One to the Doctor Day. It is a reminder to take charge of your health and to help your loved ones by encouraging them to do the same. Someone you know might not be getting the professional, medical advise and help they need. Talk to them, see how they are doing and schedule an appointment for them. Follow-up with them and their physician after the visit to see how the person you care about is doing and what can be done to make them better. Motivate them to be conscientious of their own health and do the same for yourself. Regular checkups from your doctor can help make sure you stay healthy along with being active and having a healthy diet. People over 50 should see a doctor at least once a year. Tom Joyner (of the nationally syndicated Tom Joyner Morning Show) and the US Department of Health & Human Services created the day in 2002 to raise awareness of health needs in racial and ethnic minority communities. Cancer previvors are people at higher-risk of contracting cancer due to a predisposed condition for cancer yet haven’t had the disease. This refers to those with hereditary genetic mutations, those with a family history of cancers, or people with other predisposing conditions that could possibly produce cancer. An example of a hereditary genetic mutation would be the BRCA1 gene responsible for higher risks of breast and ovarian cancers in women and breast, pancreatic and prostate cancers in men. In 2010, Congress passed a resolution creating the first National Hereditary Breast and Ovarian Cancer Week and National Previvor Day thanks to the efforts of the organization FORCE- Facing Our Risk of Cancer Empowered. They also created the term “previvor” as a portmanteau of “predisposition” and “survivor” which has since become commonplace in the cancer community. It was created to raise awareness of inherited, hereditary cancers. Hereditary genetics can show a predisposition for various cancers including breast cancer, ovarian cancer, pancreatic cancer and melanoma. It draws attention to the importance of hereditary cancer screenings for the possible presence of these genetic mutations. National Previvor Day is observed in the middle of the last week of September, during National Hereditary Breast and Ovarian Cancer Week, bridging the gap between the National Ovarian Cancer Awareness Month of September and National Breast Cancer Awareness Month in October. For more information on National Previvor Day and National Hereditary Breast and Ovarian Cancer Week, contact FORCE; Facing Our Risk of Cancer Empowerment, the originators of the awareness week at http://www.facingourrisk.org/get-involved/events/special-event.php. Also, for more information about Hereditary Breast and Ovarian Cancer (HBOC), read http://www.cancer.net/cancer-types/hereditary-breast-and-ovarian-cancer. The week of September 24-October 1 is National Hereditary Breast and Ovarian Cancer Week. In 2010, Congress passed a resolution creating the first National Hereditary Breast and Ovarian Cancer Week thanks to the efforts of the organization FORCE- Facing Our Risk of Cancer Empowered. It is observed in the last week of September, bridging the gap between the National Ovarian Cancer Awareness Month of September and National Breast Cancer Awareness Month in October. For more information on National Hereditary Breast and Ovarian Cancer Week, contact FORCE; Facing Our Risk of Cancer Empowered, the originators of the awareness week at http://www.facingourrisk.org/get-involved/events/special-event.php. September is Childhood Cancer, Leukemia, Lymphoma, Ovarian and Prostate Cancer Awarenesses Month. September is a time to honor, support and remember children affected by cancer and their families. Its ribbon is gold. Leukemia refers to a group of cancers often beginning in a patient’s bone marrow creating a high number of underdeveloped white blood cells. Its ribbon is orange. Lymphoma comes from lymphatic cells that produce blood cell tumors that become cancerous. Its ribbon is lime green. Ovarian cancer causes are still not entirely understood. Some symptoms may include stomach pain, bloating, unusual bleeding and nausea. Its ribbon is teal. Prostate cancer is the second most common cancer for men, after skin cancer. It is possible to successfully treat it though. In the US alone, there are millions of prostate cancer survivors. Its ribbon is light blue. Please seek medical advice from your physician and take care. Friday, June 16 is Wear BLUE Day! This Friday, June 16 of Men’s Health Week is Wear BLUE Day! On your Casual Friday, Wear BLUE to raise awareness of men’s health issues. Men, remember to get regular checkups and be aware of risk factors for diseases that can affect your health like alcohol, tobacco, not eating right and not getting regular exercise. Some conditions to be aware of are testicular health, prostate health, cardiovascular health, respiratory health, skin cancer, and diabetes. Today, Wednesday, March 15 is National Kick Butts Day! Join the national day of activism to end tobacco use by the kids of the United States and raise awareness of the dangers of its use. Tobacco is the number one cause of preventable death in the US and around the world. Make every day a Kick Butts Day!